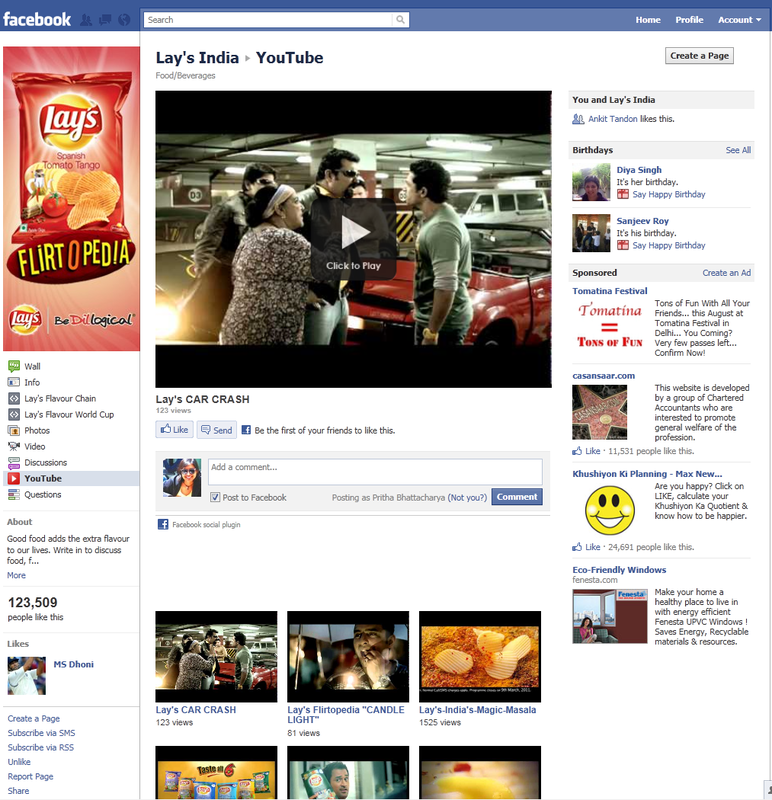 I checked out the Lay's India Facebook page after a Lay's TVC announced the url (good stuff). I have never been able to understand why brand managers don't advertise their web presence on TVCs and Print more often in India, when so much effort goes to creating these. More importantly, digital does contribute to engagement like no other medium does. The Facebook page though is more of the same. People commenting on the Wall; Info giving details of a website that turns up an error page (obviously because no one seems to have updated the page in a really long time); a couple of dated promos (think ICC World Cup); some photos & videos and discussions started about a month back. 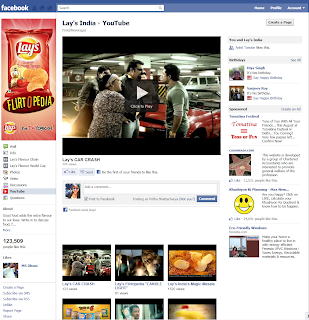 What i liked about the page is the Lay's Youtube plugin on the Facebook page which shows up the latest TVCs. I hope they do optimise the page soon and engage the 123k fans they already have with engagement led solutions. Maybe they could take some cues from the Lay's International page which at least has frequent updates.